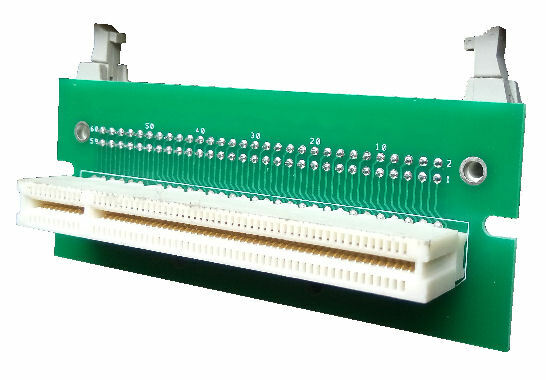 Adapter board is designed for Card Edge board. 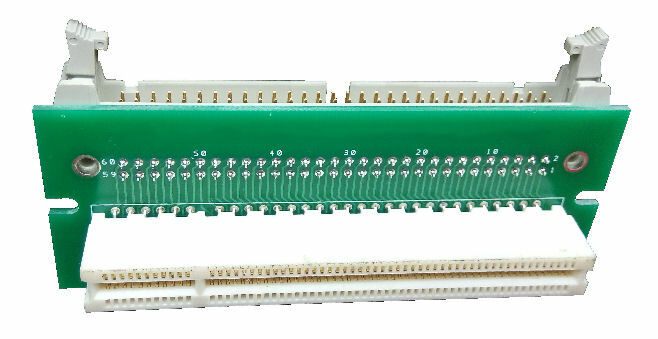 This adapter is custom design to convert 120pins PCI connector for access via a 60pins IDC connector. 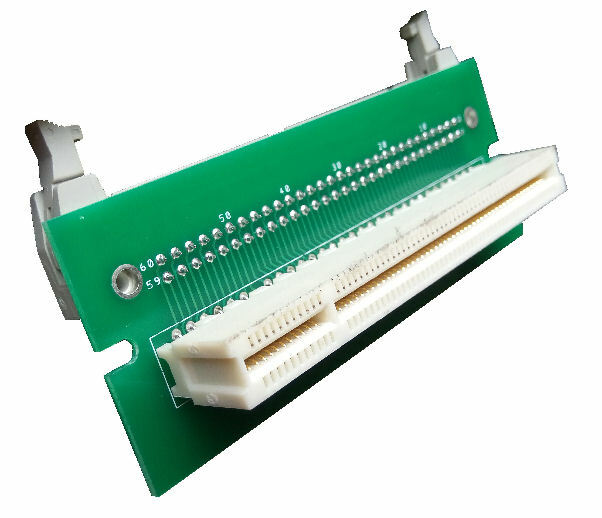 Card edge connector is designed to fit PCB edge finger connection pins. PCB board is typically 1.6mm in thickness. The pins design is embedded on the PCB itself (board to board connection), saving you the need to buy and install a connector on the PCB board. This is much more cost-effective solution. The PCB card is easy to plug in and out, making it suitable for hot-swap and mass test connection. Mass testing of assembled PCB. General purpose I/O processing board. Contact PIC-CONTROL for your custom Card Edge PCB board design and fabrication. We design for any type of card edge board connection.